Author: Anderson, Alison Set In . . .
"A love story, a war story, an ecological adventure, a biological poem, and a treatise on the fragility of life--Darwin's Wink has it all. The writing is so incantory that it almost floats off the page. 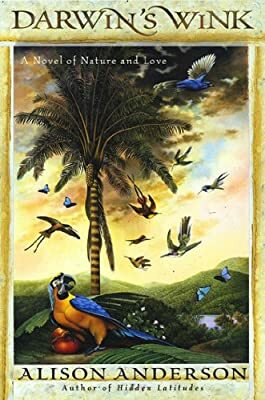 In Fran, Alison Anderson has created a strong, flawed, and utterly believable heroine.... Like the elusive, bejeweled mourning bird it celebrates, this book will waken its readers to unexpected wonders. A beautiful book. I loved it." The author of the critically acclaimed Amelia Earhart novel Hidden Latitudes offers a beautifully crafted story about two naturalists, both damaged by ghosts from the past, who find love as they work to save a rare bird species off the coast of Mauritius--and fend off a powerful townsman who is threatened by their presence.